SaSaD’s 29th Ordinary Meeting of the General Assembly was held on April 24, 2018, at the Hilton Garden Inn Hotel / Ankara, together with the Sectoral Meeting. The full-day event took place with the participation of Deputy Undersecretaries for Defense Industries Celal Sami Tüfekçi and Mustafa Murat Şeker as well as the Undersecretariat personnel. TÜBİTAK Vice President Orkun Hasekioğlu, OSTİM Chairman Orhan Aydın and nearly 200 member company representatives also attended the meeting. SaSaD Chairman of the Board Temel Kotil, Ph.D started his speech by expressing his honor and pride for the superior performance of the systems taking part in the TAF inventory during Operation Olive Branch and stated that the industry is exerting great efforts to meet the needs of the Turkish Armed Forces at a higher level and without interruption. He also stated that the sector players came together at this meeting regarding the subsystems and components that are subject to import today but are planned to be nationalized. The representatives of 11 SaSaD member companies (Aselsan, FNSS, Havelsan, Istanbul Shipyard, MKEK, Nurol Makina, Otokar, Roketsan, TAI, TEI, Yonca-Onuk), which are platform and system producers as well as main contractors, were present at the sectoral meeting held before the Ordinary Meeting of the General Assembly and made presentations on subsystems and components they planned to share with subcontractors in the short and medium term. Also, the Ministry of National Defense and Undersecretariat for Defense Industries shared sectoral reports with the participants. In addition, during the sectoral meeting, bilateral business meetings were held between the members making presentations and with other participants. Following the Sectoral Meeting Activity, the 29th Ordinary Meeting of the General Assembly started and in his opening remark of the meeting, Kotil Ph.D said: “Based on global and regional crisis situations and economic planning, countries are preparing their budgets for defense expenditures. Global defense expenditure in the year 2017 was around $1 trillion 709 billion, showing the first upward trend in the last three years. Turkey is ranked as the 15th country amongst the countries spending most on the defense industry. 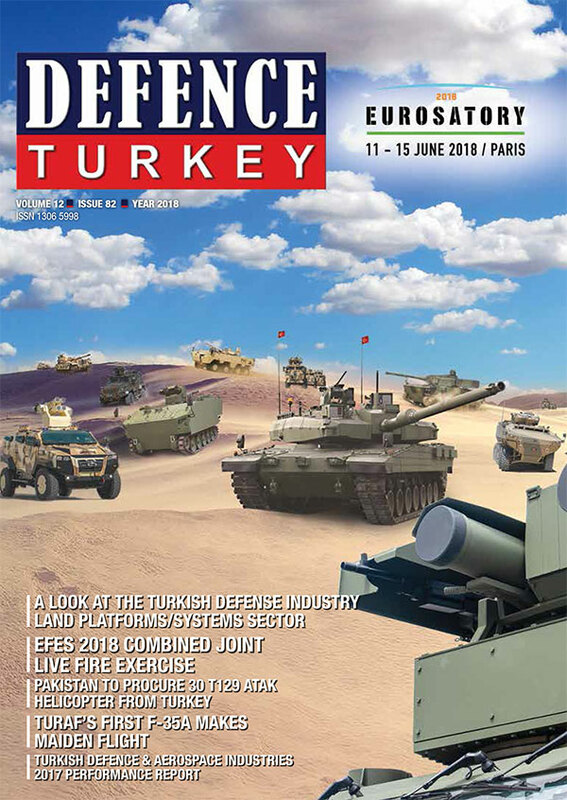 Amongst the top 100 largest defense industrialists, Aselsan ranks 57th, TAI 61st and Roketsan 98th. Following the opening speech, within the framework of elective Ordinary General Assembly election agenda, the study report and the audit report were read and the Board of Directors and the Supervisory Board were discharged. 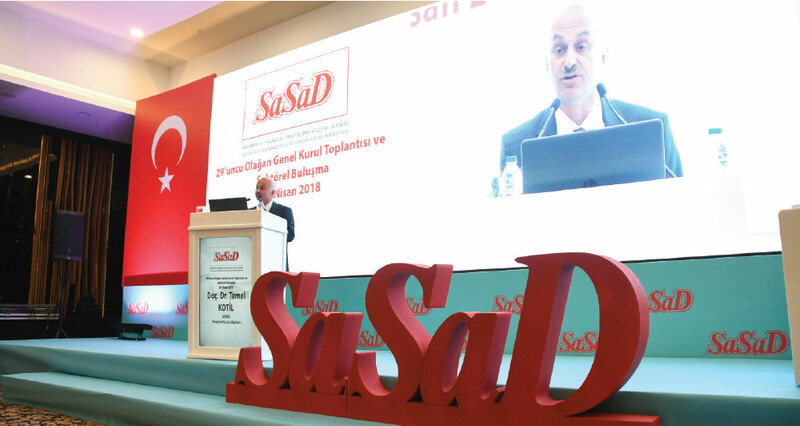 SaSaD Secretary General Hüseyin Baysak provided information on the new period work plan and budget, and then the new term work plan and budget were approved. After these activities on the agenda, elections were made. With the votes of the member representatives of the Association, the Official Members who will take part in the SaSaD Board of Directors for a period of two years were selected. Following the general assembly, MKEK Representative Ahmet Taşkın was selected as the Chairman of Board, AYESAŞ / Vestel Defence Representative Öner Tekin as Vice Chairman of the Board and Uğur Coşkun from Bites Company as Treasurer during SaSaD’s new Board of Directors meeting held on May 11, 2018.